Heading abroad for a holiday, visiting relatives or flying overseas on business? 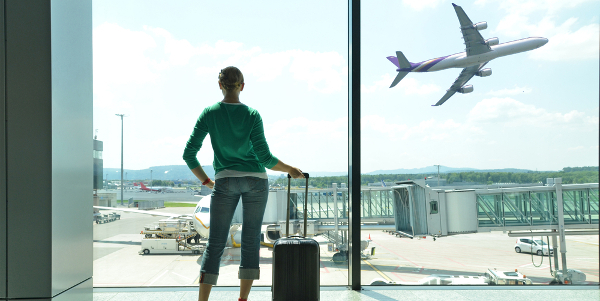 Don’t set foot onto that plane or ferry without sorting out your travel insurance first. We all know that travelling abroad without insurance is a false economy – if something does go wrong then the cost of medical treatment, replacing lost luggage or even repatriation can run into thousands of pounds. For the sake of a small premium, is it worth running that risk? At Park Insurance, we don’t think it is, which is why we’ve teamed up with Fortis Insurance Ltd, one of the UK’s leading travel insurance providers, to bring our customers the very best in specialist travel insurance. While there are plenty of travel insurance deals available from providers across the UK, sometimes a ‘generic’ travel policy simply isn’t enough to give you the reassurance you need when you’re far from home. For example, if you’re a keen skier you’ll find that many policies won’t cover winter sports. So to make sure you’re protected on and off-piste, winter sports travel insurance provides you with the cover you and your equipment need. For more mature travellers, Park Insurance can source specialist travel insurance that takes into account any pre-existing medical conditions. Age can sometimes be an excluding factor for some insurers, but at Park Insurance we make sure that you’re not discriminated against and that travel insurance for older travellers is priced fairly and gives you the cover you need. If you travel abroad regularly then taking out a separate policy every time you plan a trip can be time consuming. Our frequent traveller insurance cover means you simply buy one policy that covers you each time you travel. This is not only the easiest way to stay insured, but can also work out considerably cheaper than taking out a new policy every time. We can also source on-off travel policies and annual travel cover to suit your exact needs, whether you travel once a year or every month. There are some health terms and conditions that apply to any travel insurance policy. For more details, see our Personal Travel Insurance page or contact us direct for more information.